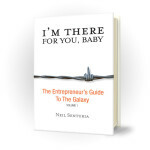 A new book by a young chastened entrepreneur – Ethan Senturia – a great read ! The Beyster Institute’s mission is to advance the use of entrepreneurship and employee ownership to build stronger, higher performing enterprises nationally and internationally. Launched in 2002 by the Foundation for Enterprise Development, the Institute is now part of the Rady School of Management at UC San Diego, serving as its key center for entrepreneurial thought and activity. It is the only such university-based center to integrate both employee ownership and entrepreneurship. BIOCOM is a premiere life science industry association representing more than 450 member companies in San Diego and Southern California. The association focuses on initiatives that positively influence the growth of the life science industry, including capital formation, public policy, workforce development, and scientific discovery and development. CONNECT is the globally recognized public benefits organization fostering entrepreneurship in the San Diego region by catalyzing, accelerating, and supporting the growth of the most promising technology and life sciences businesses. The San Diego Software Industry Council is building a future for the region’s information technology industry. Whether you are a start-up, established industry leader or a provider of services to the industry, your company will benefit from SDSIC membership. San Diego Telecom Council is the premier association of communications-related companies in San Diego for facilitating business relationships, educating on technology trends, markets and policies, and showcasing the region as a leading center for innovation. The San Diego Venture Group is a nonprofit business organization whose mission is to provide an informal atmosphere that fosters ideas on how to form, fund and build new ventures. SCORE, a resource partner with the U.S. Small Business Administration, provides free and confidential advice through its 10,500 volunteers who are primarily retired executives. The Tech Coast Angels (TCA) provides opportunities for members to invest in early-stage technology and life sciences companies in Southern California.